The deep snow and cold temperatures didn’t keep buyers from making their purchase in our area. Across the board for all areas between New Meadows to Cascade saw increase in average and median sales prices. Historically with other first quarters we have seen the same amount of quantities closing but just not these high of numbers. Here are numbers for last quarters real estate residential closings for these areas; the closings do not include timeshares, fractional ownership or state lease sales. These numbers are brought to you by our local Mountain Central Association of Realtors MLS. McCall residential sales: 42 homes closed this past quarter with a total dollar volume of $23,259,130. Average sales price: $553,789 and median sales price of $409,000. Our average days on market for the first quarter is 234. The sales prices are up from last quarter, overall quantities are down but with the little inventory that we have seen this winter, demonstrates that if there isn’t a lot to buy and what is out there for sale is now at a higher price. Donnelly residential sales: 10 homes closed, $3,568,730 total dollar volume. Average sales price: $356,873 and median sales price: $339,915 with an average days on market was 203. Prices are significantly up in this area and are continuing to rise with the updates and promises of what is to come for Tamarack Resort. Cascade residential sales: 7 homes sold with a total dollar volume of $1,932,000 Average sales price: $276,000 and median sales price of $252,000 with an average days on market to be 131 days. This area has really seen an increase in prices from last quarter which was due to the lack of inventory as well. New Meadows area residential sales: 5 homes closed. $1984,000 total dollar volume with an average sales price of $396,800 and median sales price of $483,000. Average days on market was 95. This area has shown significant growth in this quarter compared to last year. Once again, proving my opinion that due to lack of inventory in the McCall area people are considering properties in surrounding areas. If you have more questions about the closings in Valley and Adams County or would like to learn more about selling your home in today’s market please give me a call or email. The real estate market in this area continues to remain strong however the lack of inventory has really pushed the numbers down in some areas, especially McCall for the fourth quarter. Other of the surrounding areas have really seem strong improvements in their real estate closings and have benefited from the lack of inventory in McCall. The announcement of the new owners of Tamarack Resort will also have a big impact on the real estate around Tamarack and Donnelly. The new owners will be not only making improvements to the existing resort but also bringing on new inventory of homes and condos. Please contact me for the most recent updates on these upcoming properties. McCall residential sales: 78 homes closed this past quarter with a total dollar volume of $38,913,616. Both of these numbers are down from last quarter of 2017. Average sales price: $498,893 and median sales price of $370,500. This is also down from last year’s final quarter. Our average days on market has lowered to 124, which indicates that although overall numbers are down, properties that come on the market are selling more quickly…primarily due to lack of inventory. Donnelly residential sales: 23 homes closed, $6,142300 total dollar volume. Average sales price: $267,057 and median sales price: $235,000 with an average days on market was 87. Overall this quarter is significantly up from last quarter of 2017 for Donnelly. In my opinion, it shows that due to lower inventory in the McCall area, people have been searching surrounding towns as well. Cascade residential sales: 14 homes sold with a total dollar volume of $2,122,000. Average sales price: $151,571 and median sales price of $146,000 with an average days on market to be 149.days. Sales numbers and volumes are down year over year for this area. New Meadows area residential sales: 15 homes closed. $4,529,000 total dollar volume with an average sales price of $301,933 and median sales price of $215,000. Average days on market was 143. This area has shown significant growth in this quarter compared to last year. Once again, proving my opinion that due to lack of inventory in the McCall area people are considering properties in surrounding areas. It has been an incredible real estate market this year, so much so that I am behind in getting out the quarterly stats for the closings in our area. But after putting together the closing information for the this past quarter and comparing it to last year, I am shocked and therefore must spend some energy catching up on the first and second quarter closings as well. I was expecting to see huge increases in the McCall market this quarters year over year sales but instead I am seeing declines! I am completely shocked and thinking that we must have seen majority of our increases over the first two quarters verses this one. Stay tuned, I will have those numbers out soon! In the meantime, here are the real estate closings for the third quarter. These include only single family homes, condos and town homes, and does not include fractional, timeshares or auctioned properties. McCall residential sales: 117 homes closed this past quarter with a total dollar volume of $50,174,100. This is down both in dollar volume and number of closings compared to last year’s third quarter. Average sales price: $428,838 and median sales price of $380,000. (Average sales price is down significantly but median sales price is way up). Our average days on market was only 112 days, which is down from last year. Donnelly residential sales: 33 homes closed, $9,355,050 total dollar volume. Average sales price: $283,486 and median sales price: $254,000 with an average days on market was 116. The number of closed home and median sales price is about the same year over year but average price is up. Cascade residential sales: 33 homes sold with a total dollar volume of $6,517,395. Average sales price: $197,497 and median sales price of $175,000 with an average days on market to be 99 days. These are all stronger numbers than year over year and much lower average days on market. New Meadows area residential sales: 13 homes closed. $4,275,000 total dollar volume with an average sales price of $328,846 and median sales price of $283,000. Average days on market was 110. Closed transactions were slightly up year over year. This was compiled through our local MLS. In general the fourth quarter slowed down for real estate closings in McCall, Idaho and all the surrounding communities (Donnelly, Cascade and New Meadows) in comparison to the third quarter. This is not completely unusual considering the seasonal nature of our communities but also do the lack of inventory that we saw this fall. When you look at McCall, which has the highest units sold and dollar volume of the communities, based on current inventory available and what we have seen closed consistently over the last year, we have 3.9 months worth of inventory. This absorption rate is closely related to our average days on market which is around 4.3 months. McCall residential sales: 71 homes closed this past quarter with a total dollar volume of $41,689,095. Both of these numbers are down from last quarter but dollar volume is much higher than last year’s fourth quarter. Average sales price: $587,170 and median sales price of $349,000. this is up from last quarter. Our average days on market has lowered to 131 days. Donnelly residential sales: 17 homes closed, $3,987,850 total dollar volume. Average sales price: $234,579 and median sales price: $166,000 with an average days on market was 130. Overall this quarter is down from last quarter for Donnelly area, however average days on market has dropped slightly which might be due to lowering prices. Cascade residential sales: 19 homes sold with a total dollar volume of $3,622,400. Average sales price: $190,653 and median sales price of $170,000 with an average days on market to be 132 days. Sales numbers and volumes are down this quarter but average and median prices are up slightly. New Meadows area residential sales: 12 homes closed. $2,467,250 total dollar volume with an average sales price of $205,604 and median sales price of $186,500. Average days on market was 213. This area probably showed our biggest change for this quarter with total dollar way down and average and median prices almost dropping by half. Its been a very busy third quarter for real estate closings in McCall, Idaho and all the surrounding communities (Donnelly, Cascade and New Meadows). Here are numbers for last quarters real estate residential closings for these areas; the closings do not include timeshares, fractional ownership or state lease sales. These numbers are brought to you by our local Mountain Central Association of Realtors MLS. Click here to a link that shares the data of existing homes sales from the National Association of Realtors. McCall residential sales: 107 homes closed this past quarter with a total dollar volume of $52,582,245. This is the highest dollar volume closed that I have seen in the past four years. Average sales price: $491,423 and median sales price of $330,000. Our average days on market was only 141 days. Average and median sales prices were up significantly from last year’s third quarter. Donnelly residential sales: 33 homes closed, $9,033,600 total dollar volume. Average sales price: $273,745 and median sales price: $224,000 with an average days on market was 141. The number of closed home and median sales price is up significantly year over year but average prices is down. Cascade residential sales: 24 homes sold with a total dollar volume of $4,661,127. Average sales price: $194,214 and median sales price of $158,850 with an average days on market to be 137 days. Number of closed sales is the same year over year however average and median prices are up. New Meadows area residential sales: 10 homes closed. $3,766,500 total dollar volume with an average sales price of $376,650 and median sales price of $340,000. Average days on market was 81. Closed transactions were slightly down year over year but average and median prices almost double! 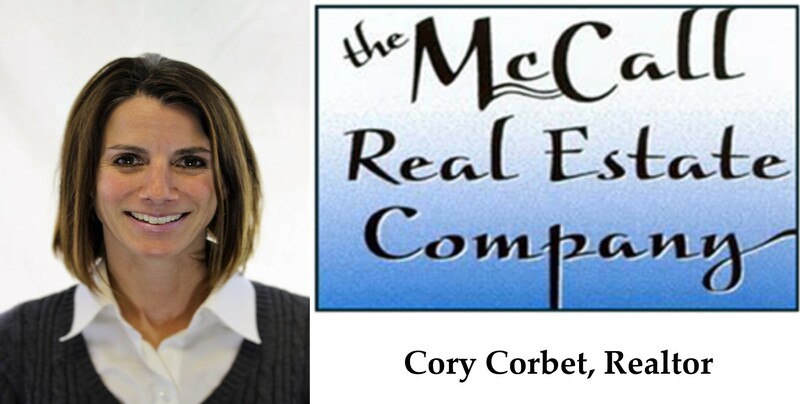 McCall residential closed sales: 94 homes closed, total dollar volume was $38,972,600. Average sales price: $414,602 and median sales price of $291,000. Our average days on market was 146. Significantly more homes closed and sold during this quarter than last quarter. These numbers do not include any fractional or time share sales. Our average sales price went up over 18% increase from last quarter but our mediain price only went up rougly 3% over last quarter. Right now, we have approximately 7.5 months worth of inventory for residential homes. Land sales: 50 closed with an average sales price: $85,795 and median sales price of $69,950. Donnelly residential closed sales: 20 homes closed, $5,739,030 total dollar volume. Average sales price: $286,952 and median sales price: $217,500 with an average days on market was 162. Sales volume increased significantly for this quarter from last quarter but average and median prices dropped slightly this quarter. Donnelly currently has approximately 1 year worth of inventory for homes. Cascade residential closed sales: 24 homes sold with a total dollar volume of $3,440,100. Average sales price: $143,338 and median sales price of $116,000 with an average days on market to be 129 days. Many more properties sold this quarter but a pretty significiant drop in median sales price from last quarter. This area currently has 8.5 months worth of inventory for homes. New Meadows residential closed sales: 13 homes closed. $3,002,500 total dollar volume with an average sales price of $230,962 and median sales price of $189,000. Average days on market was 175. Sales were down across the board for this area for the third quarter verses the second quarter. Averages were closer to the first quarter sales in New Meadows area than last quarter, which means that last quarter had a couple high end sales that boosted up the averages. They currently have 7.5 months worth of inventory. McCall residential closed sales: 63 homes closed, total dollar volume was $21,457,225. Average sales price: $340,591 and median sales price of $284,900. Our average days on market was 194. Significantly more homes closed and sold during this quarter, our high sale was Payette Lake Front home at $1,300,000 and the lowest sale was recorded at $18,500. Our average sales price went up significantly but what was interesting the median sales price only went up less than 2% over last quarter. Land sales: 35 closed with an average sales price: $96,913 and median sales price of $58,000. Donnelly residential closed sales: 11 homes closed, $2,513,000 total dollar volume. Average sales price: $228,455 and median sales price: $205,000 with an average days on market was 171. Sales volume went up for this quarter from last quarter but average and median prices dropped this quarter, high sale was recorded at $395,000 and the lowest sold home was at $73,500. Good news is the average days on market lowered almost 18%. Cascade residential closed sales: 16 homes sold with a total dollar volume of $2,646,050. Average sales price: $165,378 and median sales price of $146,000 with an average days on market to be 109 days. Modest changes for this area, many more properties sold but with average and median sales prices staying the same with the highest price property closed at $320,000 and the lowest sales recorded at $33,000. New Meadows residential closed sales: 16 homes closed. $4,859,400 total dollar volume with an average sales price of $303,713 and median sales price of $292,500. Average days on market was 181. Great quarter for New Meadows area with a huge increase in number of sales and dollar volume, almost doubled its average sales price. The highest property closed at $550,000 and the lowest sale at $67,500.